Observation - Brown Hawker dragonfly - UK and Ireland. 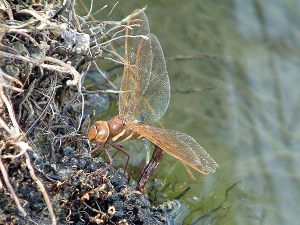 Description: Female Brown Hawker laying eggs at the edge of a pond. Female Brown Hawker laying eggs at the edge of a pond.